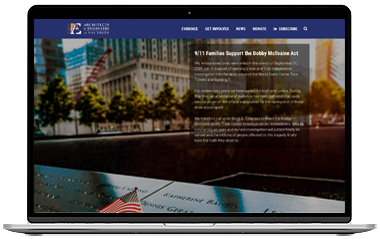 Today is the day: The Nationwide Call-In Day for the Bobby McIlvaine Act is here! If you live in any of the 435 congressional districts across the U.S., we’re counting on you to call your Representative between 9 AM and 5 PM Eastern today (because their Washington, D.C., offices are in the Eastern time zone). The five simple steps for participating are at AE911Truth.org/Justice. Our goal is to cast the net as wide as possible in our search for one member of Congress with the courage and integrity to introduce the Act. That’s why we need 3,000 activists like you to take part. 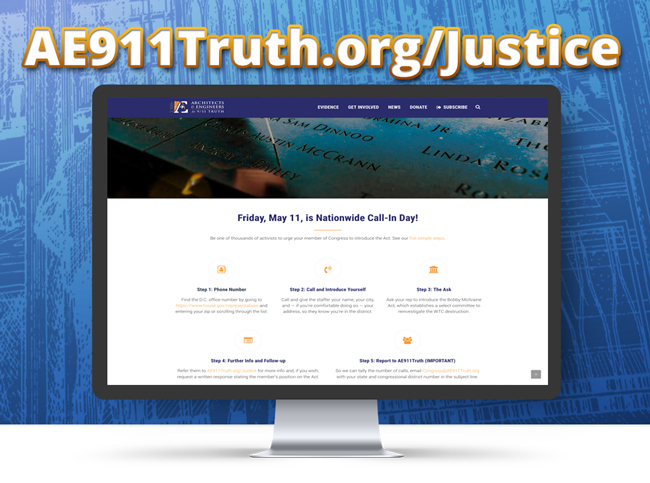 Don’t forget: After you’ve made your call, email us at Congress@AE911Truth.org with your state and congressional district number in the subject line. Thank you so much for doing your part!